I adore Korean food. Nothing beats the hearty, spicy soups and stews, the flavorful barbecue meats or even Korean fried chicken. I do draw the line at live seafood though…hubs just sent me a video of his meal. We had recently been to Korea for a couple of days and I came back earlier than he did as I was on call for the weekend and he had a conference to attend. After seeing the video below I was really glad I didn’t stay back. 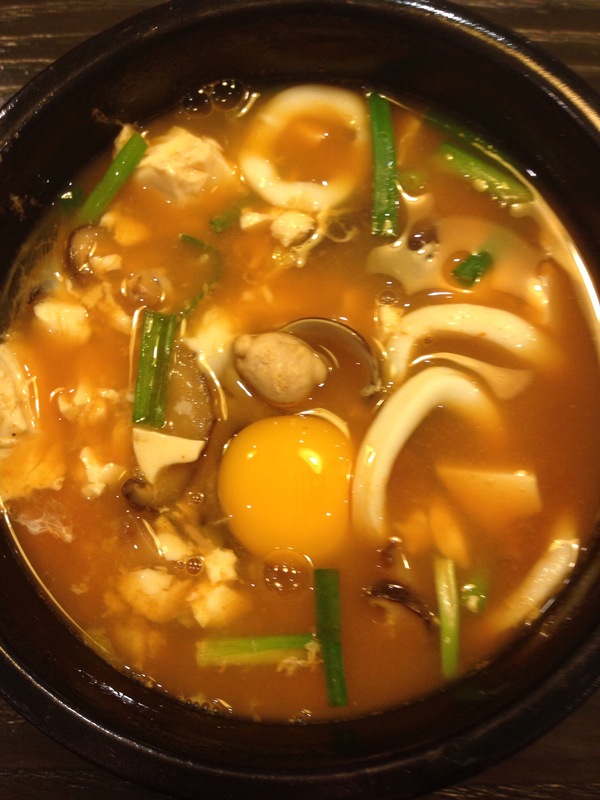 Some kind of scary octopus soup in Incheon, Seoul. Anyway the last time I was in Seoul was a few years back when the kids were still small enough to relish a trip to Everland. I don’t think I really enjoyed the local food then, perhaps because of the need to find non-spicy food for the kids. So it was amazing to be able to eat all manner of Korean food that I absolutely adore. Years ago, the Korean food in Singapore was pretty awful, mainly a variety of Korean BBQ with over-sweetened and marinated cheap meats. I was pleasantly surprised when I tasted real Korean food, of all places, in Fort Lee in New Jersey where I stayed for 2 years. Now Fort Lee is like an enclave for Koreans who would commute daily to New York and I still think the best Korean food outside of Korea can be found there. In fact, I hear that nowadays you can walk into Fort Lee and find many Koreans who can’t speak English! So I do love good Korean food and I was in a food high in Seoul last week, enjoying traditional Sundubu Jigae, beef bone soup or even Korean molecular gastronomy. 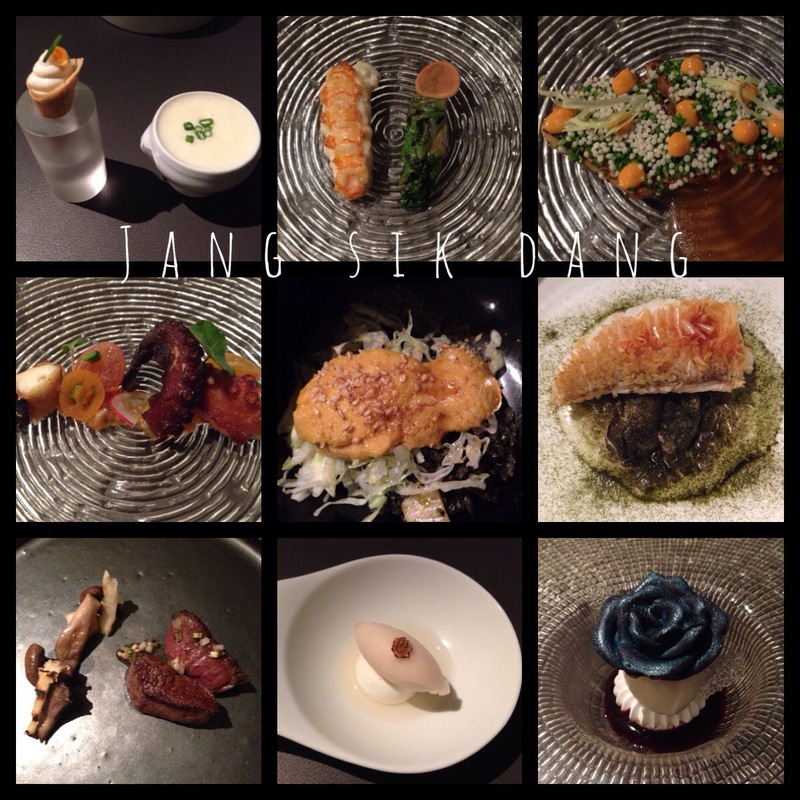 I never had a great impression of fusion/molecular gastronomy before (I’ve tried more misses than hits) but Jung Sik Dang rocks! A must go if one is in Seoul. Anyway, back to tofu soup. Tofu is a super staple food in Asia and for low -carbers it is actually quite a blessing because it is lighter than most meats and yet protein-rich. The challenge of tofu is to pair it with strong flavours. And this spicy broth will do the trick and make this hot bowl a comfort food go-to. I think the best Sundubu jigae I ever had was in Fort Lee and I remember after we had moved back to Singapore, seeing the restaurant featured on Anthony Bourdain’s travel show brought homesick tears to my eyes. That restaurant only served that one dish and we were willing to withstand the rude waiters and lack of parking just to get our weekly fix. So this is an amped up version of Sundubu Jigae with loads of seafood, mainly because it is kind of difficult to buy tiny amounts of clam or squid here. This is an easy Korean low carb soup/stew that can be easily done at home and the seafood can be substituted with beef in case you are not a seafood fan. Heat water in a large pot and add the kelp, anchovies, onions and garlic and bring to a boil. Boil on high heat for 10 minutes then lower heat to a simmer for another half hour. Drain the stock and bring the stock to a boil again. Add the tofu, chilli powder and salt, breaking the tofu up gently into smaller pieces. Add the clams and boil for a few minutes. Clams should open up and if there are any still closed, remove and discard them. Add the oysters and squid. Boil another 2-3 minutes till just cooked through. Add the spring onions and stir through the soup. Serve piping hot with an egg cracked on top.